Ultra running and long distance races don’t typically have water stops and big crowds! First a reminder: Our long form podcasts are now released on the last day of each month. This month we are discussing a growing, and grueling, outdoor adventure activity: Ultra Running and Long Distance Running! Before you decide “I’m not a runner and this one is not for me” I encourage you to stay with us. The stories that are shared go way beyond running and you might find incredible, inspiring, funny, and almost unbelievable. Our point is…even if you aren’t a runner you might really enjoy this podcast! We have two special guests joining us on the conversation to discuss the world of ultra running, the benefits and hardships of long distance races, who the best runners in the world are, some of their craziest experiences out on the course, and what’s coming next in this new sport. 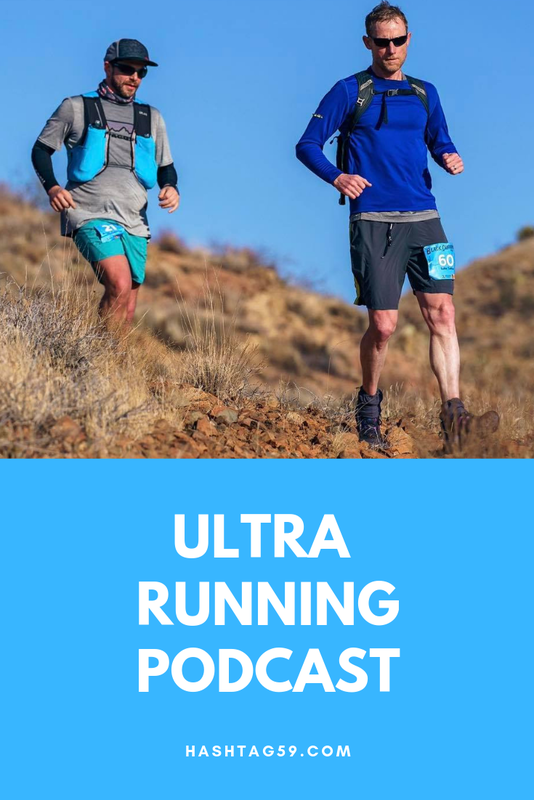 We hope you enjoy the Ultra Running and Long Distance Running Podcast! Brian Z at the Moab 200. Reggie O at the Tahoe 200 Endurance Run. To listen in to The Buck Fifty talk about how Reggie began running their race listen in HERE. The Tahoe 200 Endurance Run that Reggie is planning to run again soon can be found HERE. The Little Buck Race that Mike R just ran can be found HERE. To learn more about the AT that Brian Z ran a self supported run at HERE. Brian Z’s dream ultra run is entering Western States Endurance Run. The Book “Born To Run” we reference can be found HERE. Reggie O said “Forget the checkpoints” and go run somewhere like the Arizona Scenic Trail, which you can learn about HERE. The hilliest road race in America (according to Brian Z) can be found HERE. You can run in the Columbus Marathon (our hometown road race) HERE. More info on the Black Canyon 100k Brian Z has run can be found HERE. Mike R references running on Catalina Island, you can sign up for a race HERE. We refer to the “Barkley Marathons: The Race that Eats its Young” a few times. Watch it HERE. Learn more about Scott Jurek HERE. Reggie mentions Dave Goggins as an inspiration, learn more about him HERE. Brian Z’s inspirations include Dean Karnazes, Jim Walmsley, and the Coconino Cowboys. Sign up for the Battan Memorial Death March like Brian did HERE. Some of our hardest races we think are Ultra Trail Mont Blanc and Badwater. The winner of the Barkleys Mike references who is also a physicisit is named Brett Maune. Reggie’s friend Lisa Tamati from New Zealand can be found HERE. Read the Renegade Sportsman HERE. Thanks for tuning in to our Ultra Running Podcast! What is something you do that feels stretches yourself? Have more questions about one of the races or events we discussed? Comment below!